Draw has decided that Colombia to play in a group with Greece, Ivory Coast and Japan. 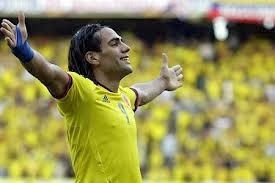 The best player and scorer of Colombia, Radamel Falcao calms passions, and notes that the success for his team can only get if they remain humble and distract the euphoria. "We have to be focused on each match. At this point we have to think only about Greece, which is our first game. Should go slowly and be smart," finished Monaco striker.